A raw, emotional, heartbreaking, poignant and tender love story that hit all the right romance notes!!!! 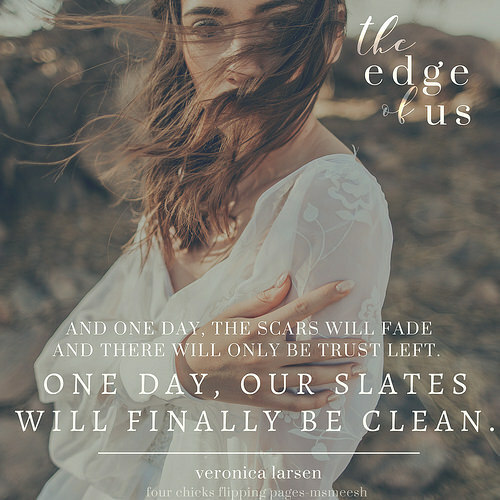 Veronica Larsen has officially cemented herself as an author that needs to be on your radar. Wow pretty much sums the feeling I got from reading her latest release, The Edge of Us. Talk about consuming and all the feels!!! This book nailed it when it captured your attention as a reader when it drowned you with Larsen’s heartfelt prose and imagery. Every word and page in this book grabbed fragments of your hearts and you can’t helped but go along the emotional journey of the key characters in this book. While I can go summarize this book, I won’t because it would ruin the pleasure of getting lost in the story of Mila as she rediscovers herself and her heart. Prepare for one unforgettable, raw, angsty and emotional story as Mila’s life is crashed when the man who broke her world reappears after eight years. This book will break your heart but trust Larsen to slowly piece back the fragments and make it whole. This book speaks volumes of love, conflict, heartbreak, friendship, hope, forgiveness and the unknown. 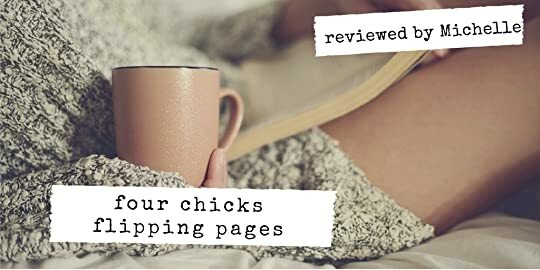 The writing was flawless and the story flowed at an excellent pace. Truly a book that will put you on the edge of your seat as you await how far along the edge of love, one is willing to go. On the edge, you will see a new horizon and perspective unlike the view when standing in the center. So are you ready to go discover how far the edge you are willing to stand?